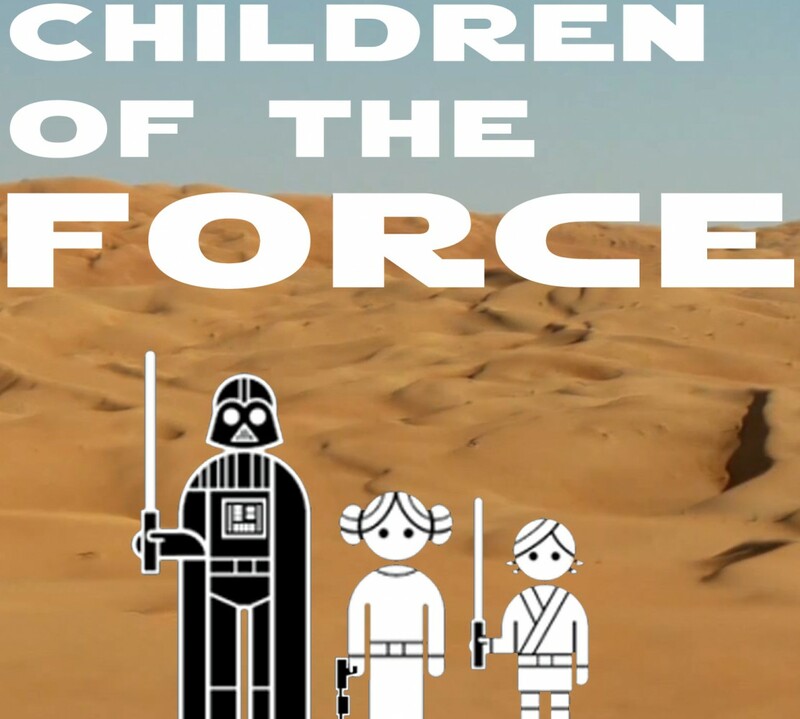 Get to Know a Children of the Force Listener… a way to say thanks to those who support Children of the Force on Patreon. Children of the Force: Hi Laura! Thanks for taking the time to answer some questions and thank you so much for contributing to Children of the Force. What’s your story? I also had the maroon outfit she wore in the Cloud City, and the snowsuit-thingy from Hoth. My husband saw that I had a Queen Amidala collector’s doll when he picked me up for our first date, so that might be the reason we’re married. We have two kids, Jonah (12) and Eliza (9). Several years ago, I can’t remember when, we decided to debut episodes 4-5-6…and they were underwhelmed. We were crushed. I am happy to say that though they were late bloomers and they have now made us proud. Jonah is introducing me to the Clone Wars and I’m about three episodes in. We started listening to your podcast upon the recommendation of Sharon, Tina and Ian. Ian and my son Jonah are three days apart in age and have been friends since birth. We listen to and from school, and on longer car trips. We love you guys and really appreciate the time you take to put your podcast out there. My kids especially love Anna and Liam’s thoughts. Outside of Star Wars we enjoy lots of outdoor stuff. I row competitively at the national level. My husband like mouton biking and fat biking. Eliza is on swim team and plays percussion in band. Jonah is an amazing artist and poet. CotF: Have your kids seen all of the Star Wars movies now? Which one(s) do they tend to gravitate toward? And what’s your favorite (if you’re able to choose, that is)? Laura: Jonah’s current favorite is Rogue One … also The Clone Wars. He likes to dig into the history/politics/back story. Eliza likes Rebels, because she digs the Rebellion and likes it served with less of the Dark Side. She is also the only one in our family (maybe the universe) who likes the prequels, but she has always been the type to go her own way. CotF: Star Wars has always been a great escape, but it also informs our opinions and views of the real world. What lessons do you tend to take from Star Wars? What lessons do your kids learn from watching the movies and television shows? Also, that those who are in power are not always on the side of justice. We need to be able to discern for ourselves what is right, and in the cases when power is on the side of darkness, it is courageous to fight against it. Jonah mentioned a specific name, but suffice it to say that we’re finding these lessons especially apropos recently. As a parent, I hope that in life they will find their own hero’s journey. So many characters in Star Wars are so much more than they seem to others or even themselves. Sometimes greatness, wisdom, and guidance are found in surprising places. CotF: Lightning round! Favorite Star Wars creature? Laura: This is a hard one! Maybe I could be a stable hand of sorts for the tauntauns. CotF: If you could live on one Star Wars planet, which would it be? Laura: Here’s to more super fun episodes!! We’re going to need them over the next four years.